Start small and stick with it. 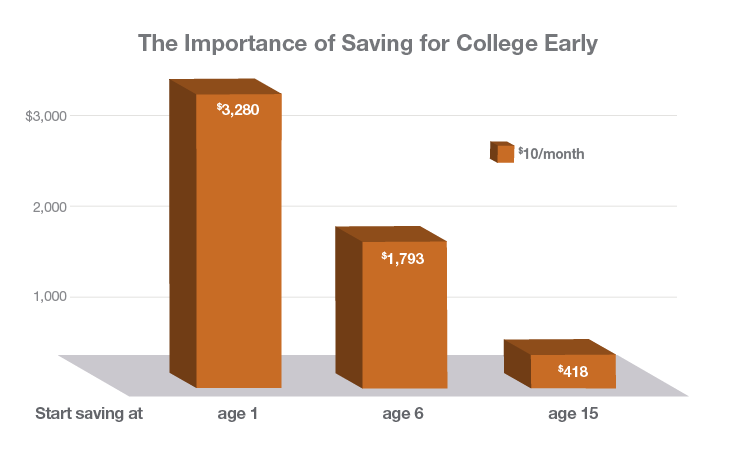 One of the best college savings strategies is, simply, to start. The earlier you save, the more time your money has to potentially grow. This is the power of compounding—when your returns earn more returns and so on. Show how saving now can significantly reduce the amount you may need to borrow. 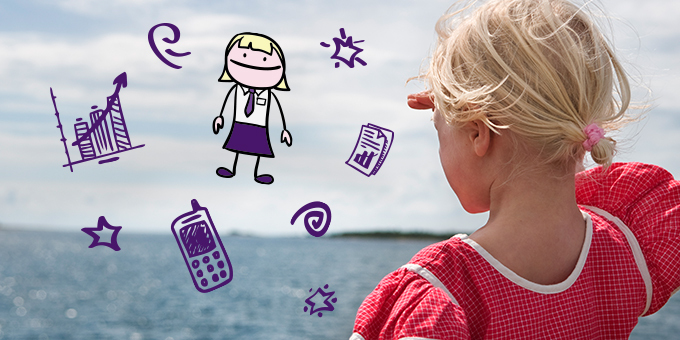 Get started with the College Savings Planner now. Remember — it’s never too late to save. Even a small contribution each month can cost much less than borrowing all of what you will need when the time comes. No matter how small the saving, you'll feel good knowing that you’re preparing for the future. So why not start today? 1 This hypothetical example is for illustrative purposes only and assumes no withdrawals made during the period shown. It does not represent an actual investment in any particular 529 plan and does not reflect the effect of fees and expenses. Your actual investment return may be higher or lower than that shown. The loan repayment terms are also hypothetical.